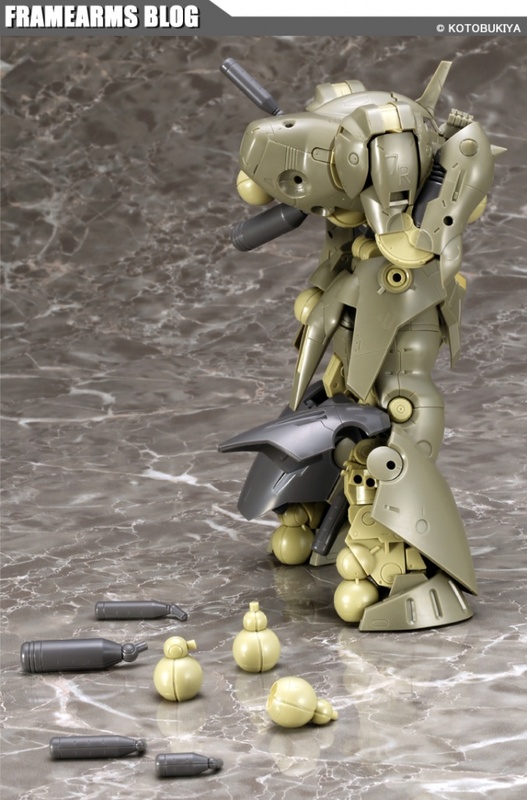 >Frame Arms "Black Tortoise" Test Shots Are Here! 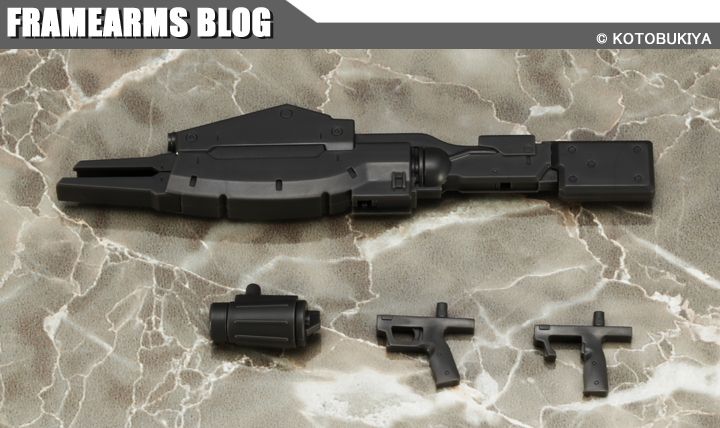 Mr. Arigato here with a Frame Arms update from Gensui! Today I’m going to share some test shots that just arrived of the latest Frame Arms, Black Tortoise, which will be available in stores in July. *The product in the photos is a prototype. Final product may vary. First we’ll start with a look at the front and back of the model. These photos give you a nice clear look at Black Tortoise’s unique silhouette. The sides of the forearms, lower legs, and thighs (side armor) are all equipped with 3mm connection points, giving the model the customizability that’s considered to be the standard for FA models. 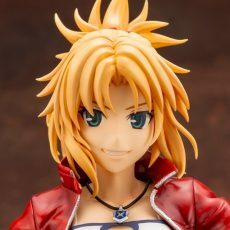 The eyes on the finished product will be painted a metallic blue, giving the model a more finished look without requiring you to paint it yourself. 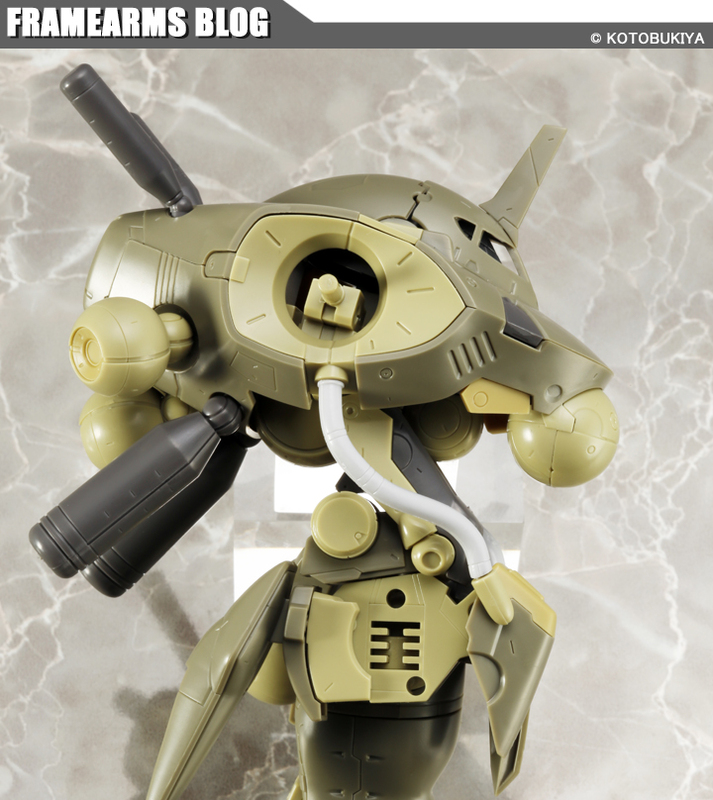 Like White Tiger before it, the internal structure for Black Tortoise’s torso and hips uses Frame Architect Type 001. Here’s a photo to show off the framework. This aspect makes it easy to switch out the parts for parts from other FA kits. 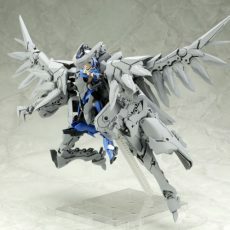 It wasn’t shown with the painted prototype, but the forearm spikes are equipped with 3 mm connectors and can be removed. 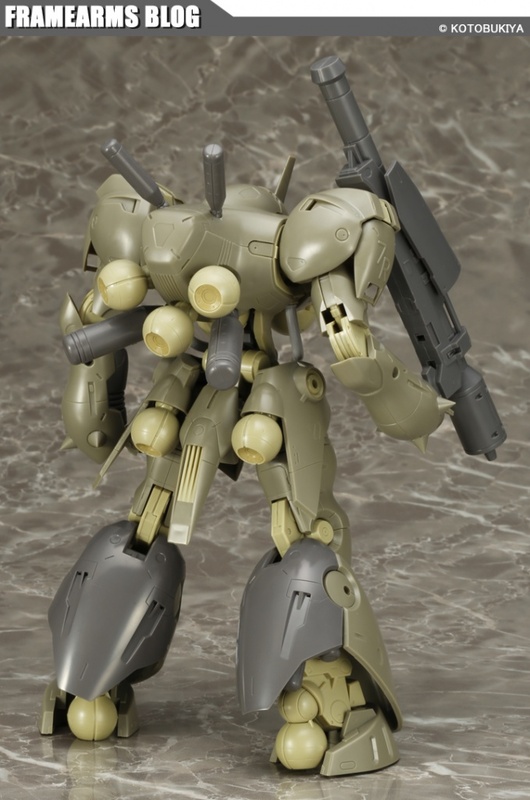 The upper arms and shoulders connect in the same way as Frame Architect Type 001. This makes it possible to change out just the shoulders and use the parts from White Tiger or Shadow Tiger. There’s a lot going on in this photo, haha. The elbows have a unique joint that allows them to bend all the way. The black armor on the back of the lower legs can be opened and closed, allowing you to see the internal frame and propellant tanks. On top of that, all the parts are removable and equipped with 3mm joints. Two large and two medium propellant tanks on the inside of the lower legs. In order to ensure stability, the spherical verniers on the heels are not connected with 3mm joints. These verniers act as supports, allowing the model to stand on its own. If you remove all of the parts on the back, there are seven 3mm connection points. So this model will be great for customization. You could even turn the whole thing around. Here are the propellant tanks separated from the model. The two on the left go inside of the lower legs, while the two on the right are from the back. The model comes with four pieces each of the two on the left, and two pieces of the two on the right. A lot of you will be surprised by this picture of the spherical vernier. 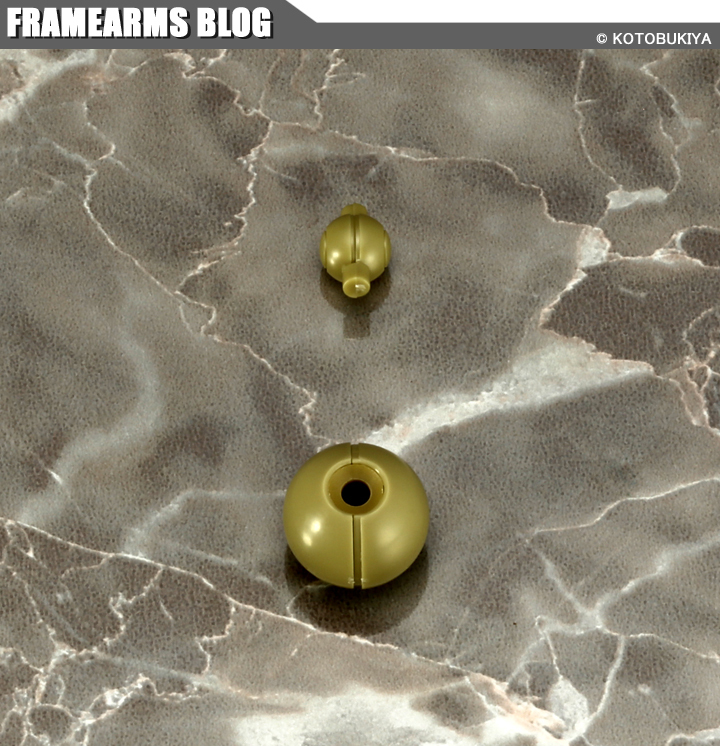 The larger sphere has a 3mm opening, while the smaller sphere has a 3mm joint, allowing you to adjust the angle of the smaller part and move it around. 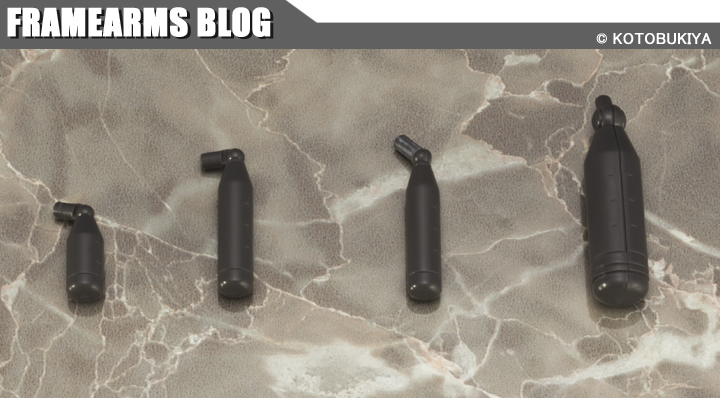 Due to the production process of the runners, the kit comes with six of these moveable parts for five verniers, giving you a spare. How you use the parts is up to you! (Personally, I’m looking forward to using them with Jidao EA). Moving on, let’s take a look at the weapons! The rifle has the same two grip types as White Tiger, including a grip without a trigger guard to use with FA hands. The cartridge holder for the bottom of the rifle is detachable with a 3mm joint. The 3mm joints on the sides of the sword can be removed and attached to other parts of the model or other FA models. The blade is the same clear plastic as White Tiger. The length of the blade is shorter, it’s heavily weighted to the front for extra impact. Top: Equipped with parts for right-handed use. Bottom: Equipped for left-handed use, with the grip in its collapsed form. Of course, the model can’t hold the gun with the grip completely collapsed, but the picture shows the extent to which the angle can be adjusted. Again, the sides are equipped with 3mm joints. 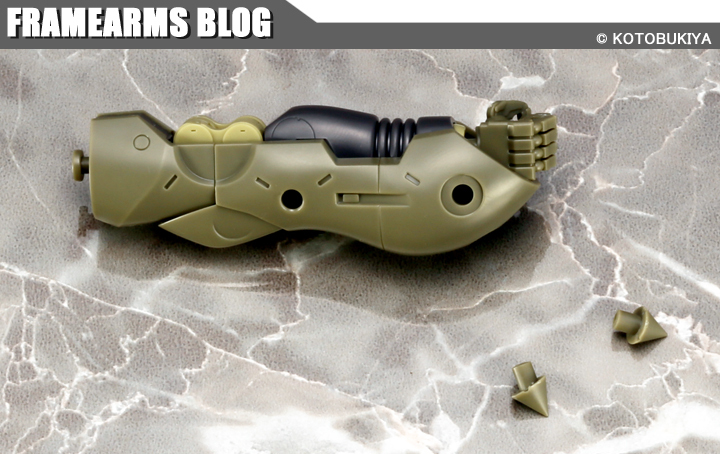 It’s smaller than Shadow Tiger’s rocket launcher, but it can be equipped to the forearms as a supplemental weapon. Finally, I’ll close things up with the weapon mount attachment. 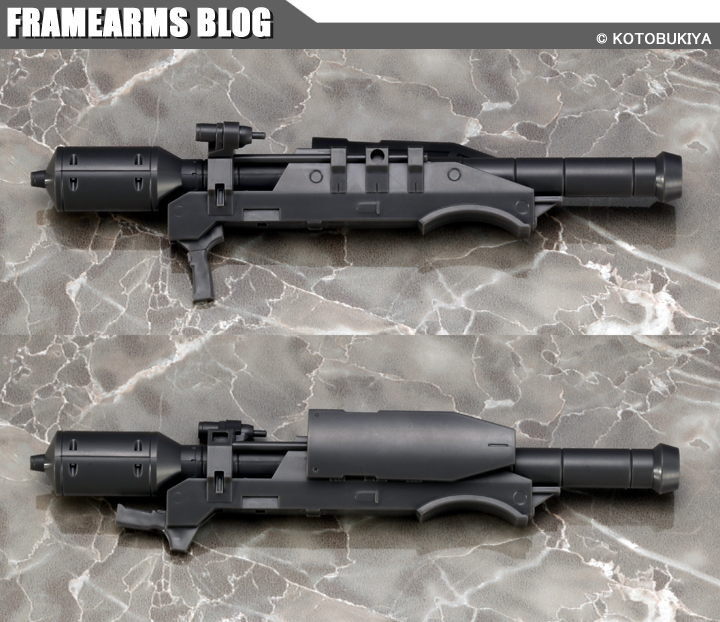 The joint is compatible with both the rifle and the rocket launcher, allowing you to mount the weapon on one of the 3mm connection points on the model’s back. 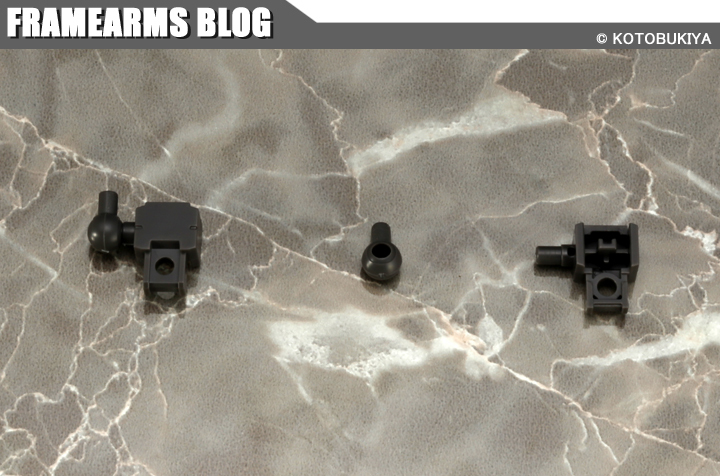 The mount itself has a 3mm connection point with 3mm joints on the left and right, as well as an additional ball part allowing you to mount the weapons at a 90 degree angle (as seen on the left in the picture). Naturally, the mount can be used with Black Tortoise, but it’s also super convenient to use on its own with other Frame Arms models! I didn’t get to show the sprues or the flexibility of the legs, but hopefully we can get around to that next time! 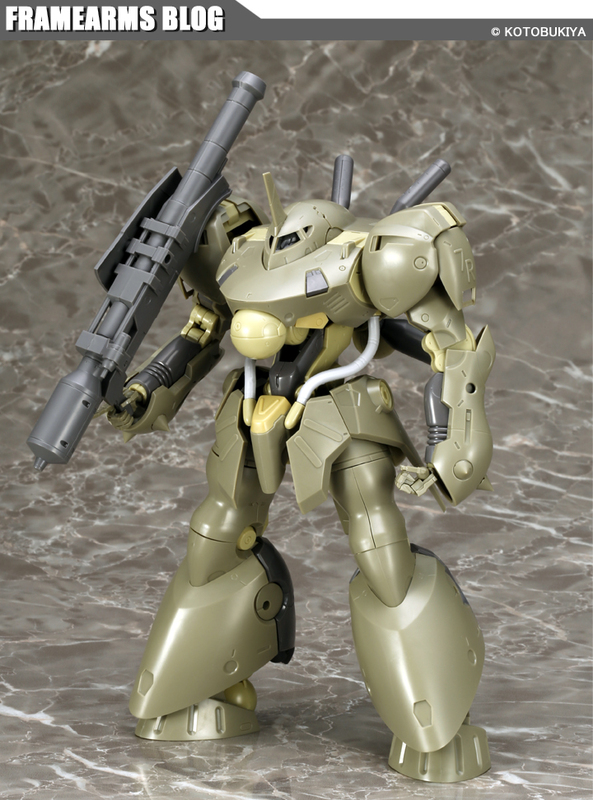 Frame Arms Black Tortoise is will be in stores in Japan in July!